Five-acre development will bring downtown Miami waterfront to life with pedestrian promenade, meet rising demand for residential and hotel properties. Miami, Florida – March 21, 2012 – Resorts World Miami is reaffirming its commitment to downtown Miami’s emergence as one of the world’s fastest-growing residential markets and tourist destinations, announcing that it is moving forward with plans for a luxury mixed-use development on the Miami Herald site. The Miami-based international architecture and planning firm Arquitectonica is preparing a revised design that includes condominiums, a 5-star hotel, waterfront restaurants, and related amenities. The mixed-use development will occupy the five acre site currently occupied by the Miami Herald building, inclusive of an 800-foot waterfront promenade along Biscayne Bay. 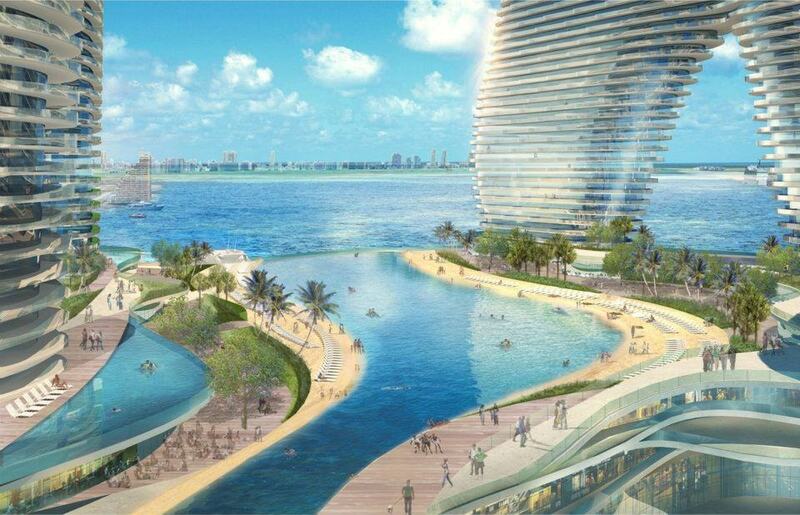 The updated design for Resorts World Miami will transform the Miami Herald site – long considered one of the City’s most inaccessible and dilapidated stretches of bayfront – into a downtown focal point and pedestrian-friendly gathering place. Plans will include an 800 foot-long, 50 foot-wide waterfront promenade with a 200 feet view corridor, enabling the creation of landscaped green space and the preservation of vistas between the growing Omni district and Biscayne Bay. Resorts World Miami is a member of The Genting Group (www.genting.com), one of the world’s largest Destination Resort operators. In addition to the leisure and entertainment sector, the company has global investments in cruise, agriculture, power generation, oil and gas, real estate, leisure and other industries.